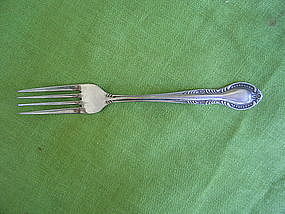 Fork measuring 7 3/4 inches and marked Stainless Steel Japan. It has minor usage and cleaning marks. Additional photos by email. 2 are available. I need your zip code to calculate the postage.